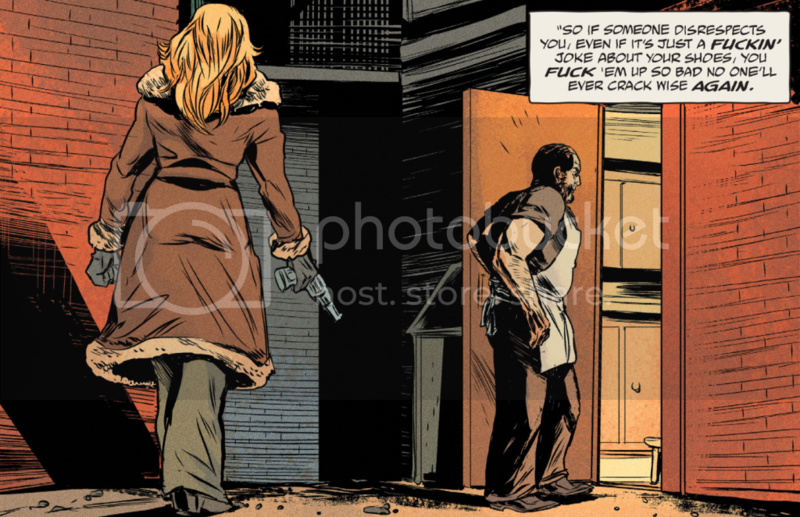 The Kitchen #1 (Published by DC Comics; Review by Draven Katayama; ‘Rama Rating: 8 out of 10): Reuniting their powerhouse artistic partnership from Mara, Ming Doyle and Jordie Bellaire give these panels a warm, vintage halftone-dot newsprint look. 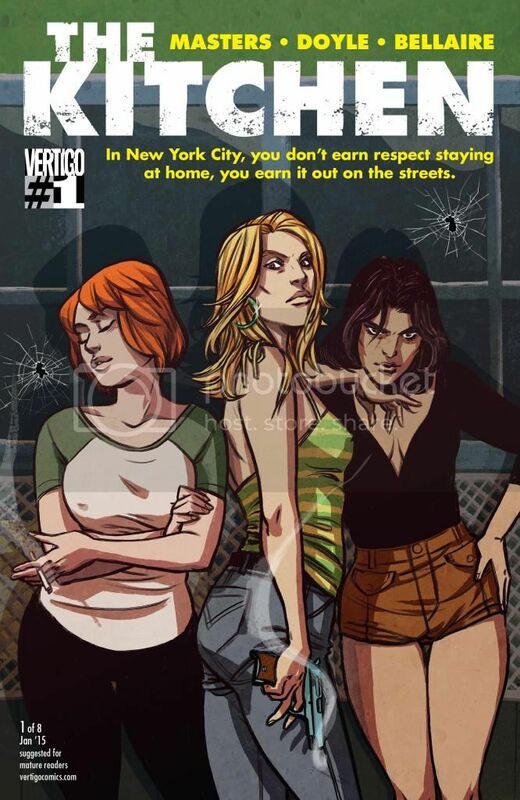 Ollie Masters introduces us to Kath, preserver of her incarcerated husband’s street-level business dealings, as she teaches her sister Raven and friend Angie to handle the business of their incarcerated husbands. Bellaire interjects variety amidst the earth tones: I like the dirty pistachio green of the convenience store awning and the hopeful teal of Kath’s station wagon. Doyle heightens tension by utilizing different angles: a close-up of a gun firing jumps to a bird’s-eye view of the characters looking at the result. If you like the gritty tone of the movie Drive or the show The Americans, this creative team has your pick.